Steven Andre – General Manager, Kimpton Seafire Resort + Spa. 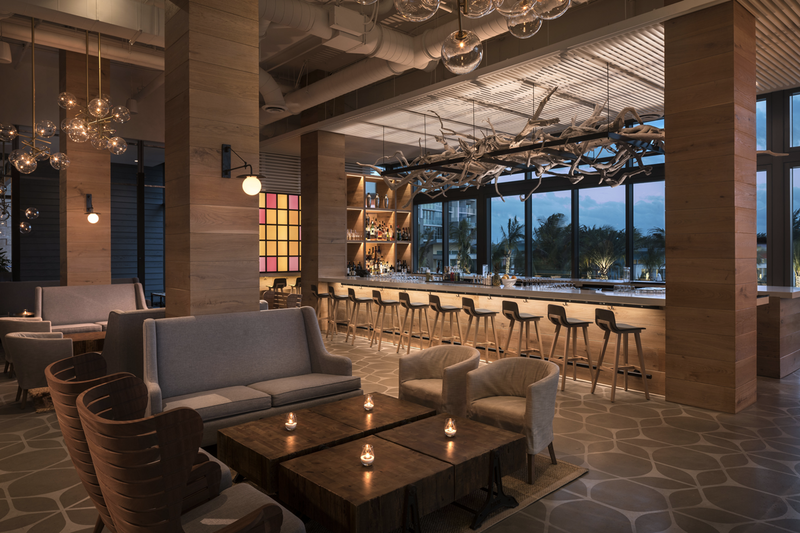 General Manager Steven Andre is no stranger to Kimpton Hotels, having served as General Manager of the Tideline Resort in Florida and the Hotel Burnham in Chicago, Illinois. Steven joined the Seafire team eighteen months prior to the opening of the resort and has overseen the development and opening of the property, enthusing staff with the Kimpton culture and spirit, and propelling the resort to its current award-winning status as Kimpton’s flagship property in the Caribbean. 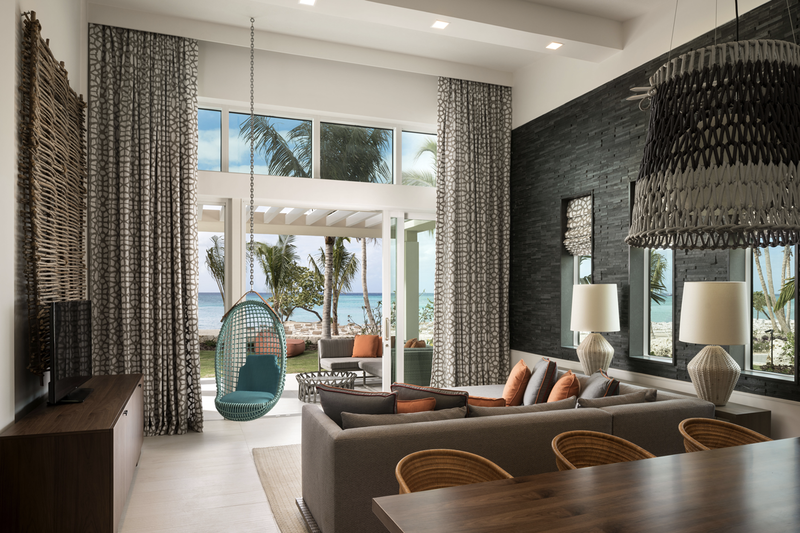 Debuted in November 2016, Kimpton Seafire Resort + Spa is Grand Cayman’s first new resort development in more than a decade. 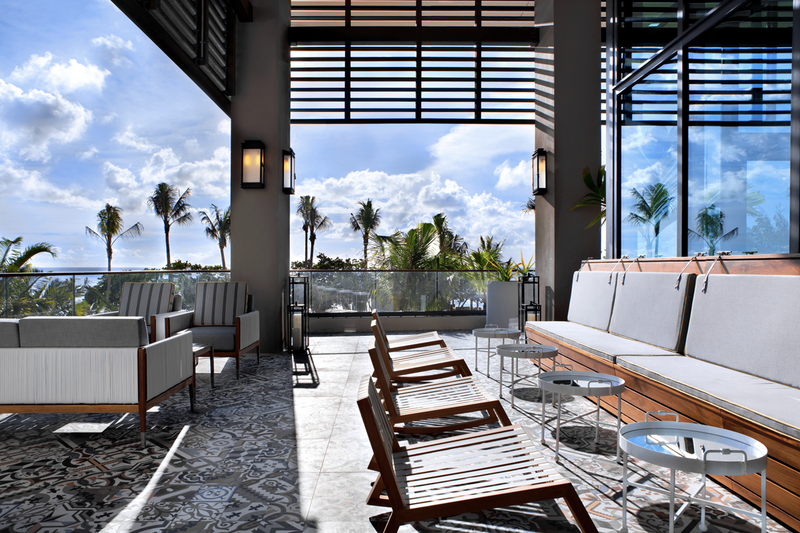 Located on the world-famous Seven Mile Beach, the resort melds locally inspired touches, luxurious Caymanian flavor and warm Kimpton spirit. 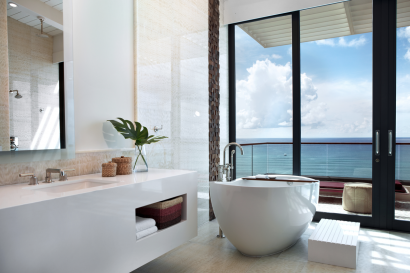 Developed by Dart Real Estate, the Cayman Islands’ premier real estate developer, the 266-room resort offers unmatched, unobstructed water views from nearly every guest room. 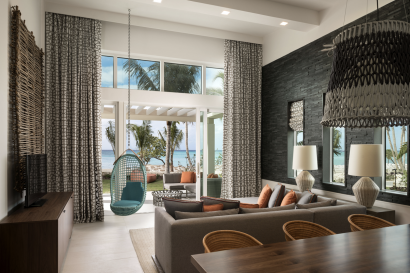 Kimpton Seafire Resort + Spa is Kimpton’s first resort in the Caribbean and the newest addition to the island of Grand Cayman in over a decade. 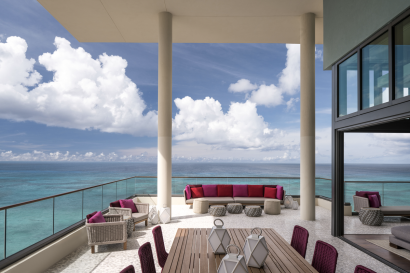 Occupying a wonderful location overlooking Seven Mile Beach, this striking property combines contemporary design with a captivating setting. Ocean views are paramount, which is why nearly all of the 266 guestrooms and suites showcase floor-to-ceiling windows and all feature private balconies, flooding the spaces with light and air. Those seeking greater privacy can opt for the Beach House and beachfont bungalows, with lavish extras and just moments from the sand. Satisfy your every taste with an impressive selection of fresh local cuisine served morning, noon and night. Sample vibrant Mediterranean fare at Ave, Spanish tapas-style dishes at Avecita, creative Mexican-inspired flavours at Coccoloba or simple bites at The Pantry at Seafire. For those wanting to feel revitalised, the 8,500 square foot spa is the perfect place to enjoy soothing treatments, while the well-equipped gym is ideal for energising workouts. 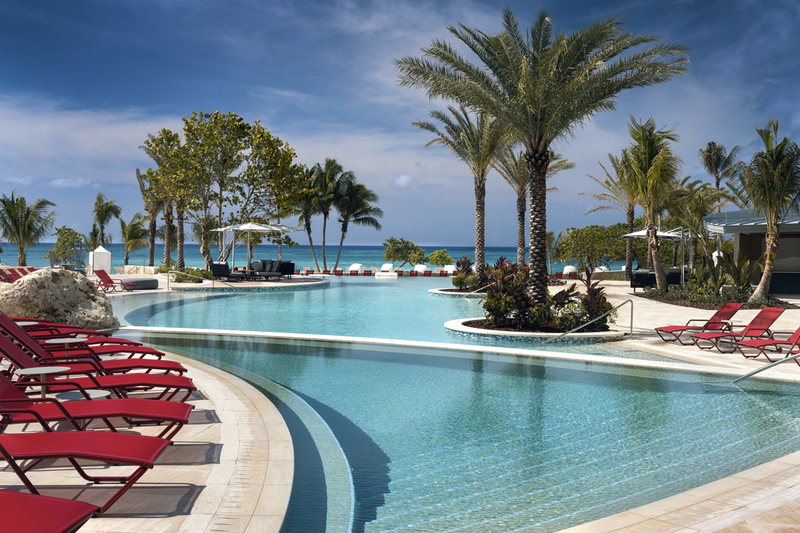 Take part in fun-filled beach activities, like paddle boarding and diving or lounge by the three-part infinity pool sipping rum cocktails and basking in the tranquil atmosphere. Camp Seafire also offers thoughtfully crafted programmes that are certain to keep young ones happy for hours. As the Resort just celebrated it’s 2nd birthday there are no recent renovations or restorations. 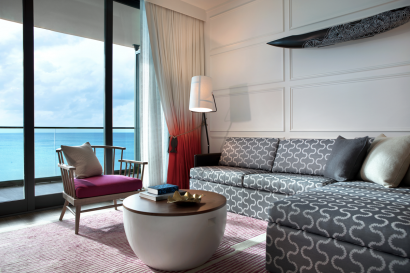 Kimpton brand’s heartfelt service. 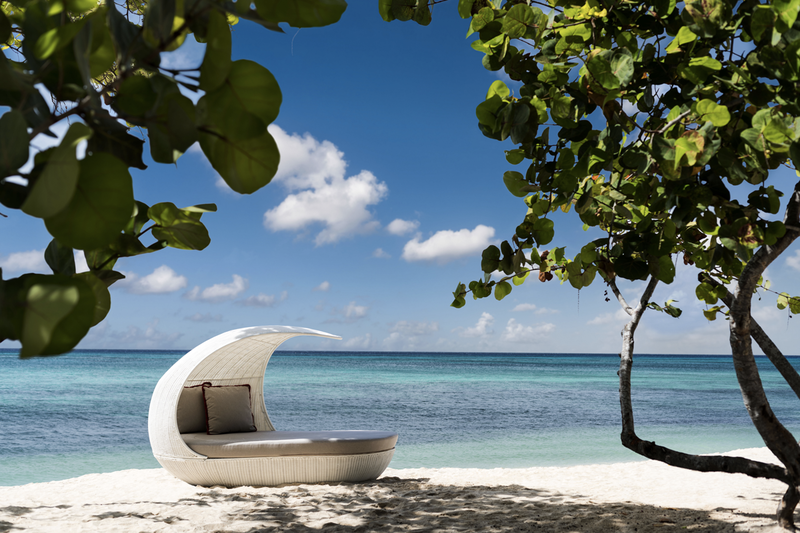 Caymankind is a term used to describe the culture of Grand Cayman but also serves to describe the culture of Kimpton Seafire. The staff’s warm energy and enthusiasm for the island seeps into everything they do allowing them to extend heartfelt service at level in which every guest walks away feeling that our team genuinely cares about making sure they have an amazing time at Seafire and in Grand Cayman. Located on the world famous Seven Mile Beach. Stingray City:Feed, swim with and even pet stingrays as the friendly creatures glide around you in shallow crystal-clear water. 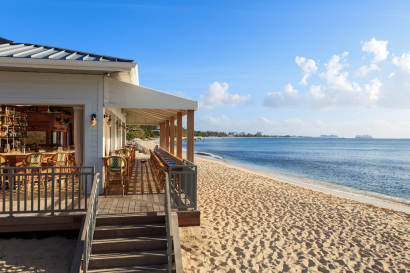 Rum Point:Swim in shallow waters, swing in a hammock and enjoy a lively bar and grill. Crystal Caves:The island’s latest natural attraction is a wonder both above and below ground. Get a refresher on stalactites, stalagmites, bats and an underground lake. North Sound Golf Club:The only 18-hole championship course in the Cayman Islands, with picturesque views from every hole, especially the signature 11th hole. Cayman Turtle Farm:Swim with yearling Green Sea Turtles, slide down a 100-foot water slide or chill out at the pool. Queen Elizabeth II Botanic Park:This world-class park treats your eyes to colorful gardens, nature displays and a lake area where you may even spy the endangered blue iguana. Bioluminescent Tours:Take a boat ride through water that comes to life in electric hues of green and blue. Pedro St. James National Historic Site:An 18th-century “castle” set on seven landscaped acres overlooking the sea gives you a peek into early Caymanian life. National Trust:This nonprofit offers historic, environmental and educational programs to enlighten locals and visitors alike. Snorkeling:Thanks to close-to-shore coral reefs and lake-like seas, Grand Cayman is home to some of the world’s most pristine snorkeling — some sites are accessible from the shore, others by boat. Scuba Diving:As a world-class dive destination, Grand Cayman has a wide array of wall, wreck and shore dives suitable for all experience levels. Extensive resort inclusions : wine hour daily, watersports including paddle boards, hobi cats, snorkelling equipment, go pros, yoga classes, fitness classes, bikes etc. Although family fun abounds at Kimpton Seafire and all around Grand Cayman, sometimes kids need to hang with their own kind. Enter Camp Seafire, featuring thoughtfully well-planned programs for ages 4 to 8 and 9 to 12, with a creative new theme every day. When the sun sets, Camp Seafire’s evening program gives your offspring a much-preferred alternative to that boring romantic sunset cruise. Don’t be jealous, but you may wish you could genie-blink yourself back to your childhood so you can partake in all the laughs, learning and lively entertainment. Presidential Suite: 1 available at 4,200 sq. ft featuring wrap around direct ocean front views. Two, Three and Four Bedroom Beachfront Bungalows available upon request. 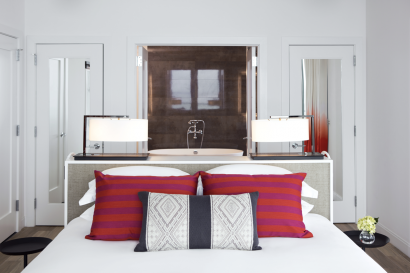 Studio Guestrooms: 40 available ranging in size from 560 sq. ft. to 600 sq.ft. featuring Island and Sunrise Views. 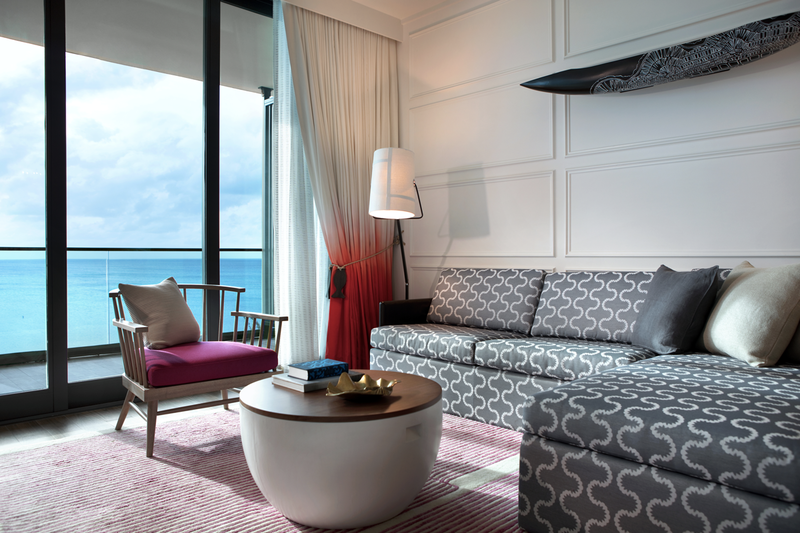 Oceanview Guestrooms:118 available ranging in size from 440 sq. ft. to 480 sq. feet featuring ocean views. 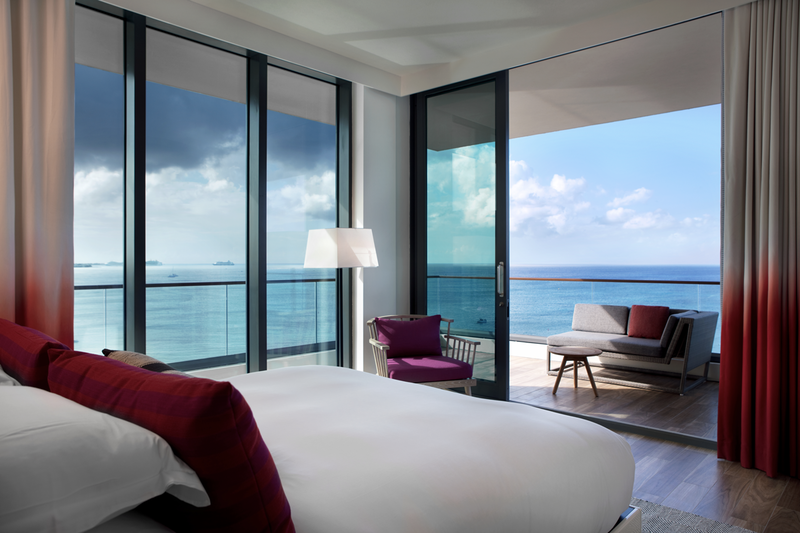 Oceanfront Guestrooms and Studios:55 available ranging in size from 550 sq. ft. to 700 sq. ft. featuring direct ocean front views. Ave : Kimpton Seafire Resort + Spa’s primary restaurant boasts a menu filled with fresh local seafood and produce infused into coastal Mediterranean recipes. Chef Massimo has crafted an approachable menu perfectly paired with handmade cocktails by Beverage Manager John Stanton. The food is delicious, and there are views to match. 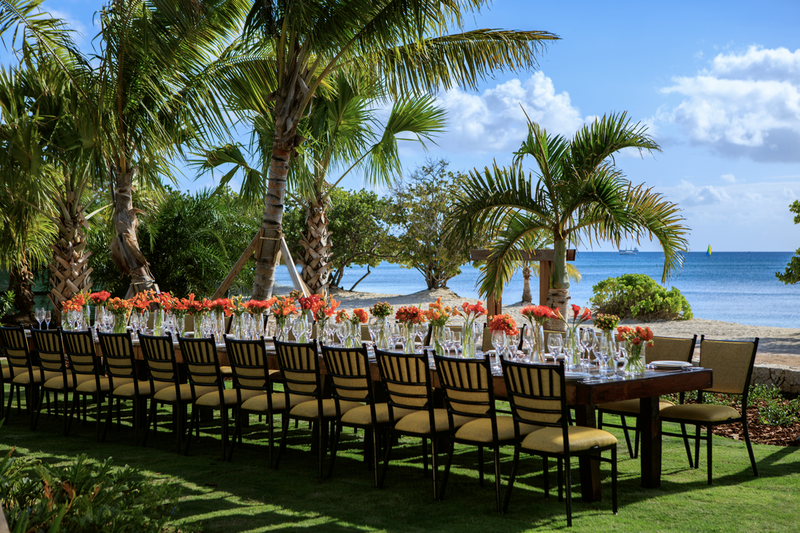 At 24-feet above sea level, Ave overlooks Seven Mile Beach, with seating indoors and on the outdoor terrace. The interior design is open, airy and inviting, with a casual, communal vibe that makes all feel welcome before the first bite. Ave Bar + Lounge : After a hot day in the sun, come to Ave Lounge to cool off and enjoy an intricately crafted cocktail, made with house ingredients and fresh local produce. Or if you’re feeling adventurous, choose from an eclectic selection of spirits from across the globe. Avecita : The one-of-a-kind Avecita is nestled inside Seafire’s main restaurant, Ave. Avecita is a theatrical culinary experience showcasing Spanish tapas-inspired dishes. The focus of the contemporary space is the Chefs’ counter, where ten diners see the custom tastings as they are created before their eyes. Behind the bar are three communal tables seating 30 additional guests, who will choose from a Spanish tapas-style menu. An inventive beverage-pairing program features rare and iconic Spanish wines along with handmade cocktails that blend in local produce. 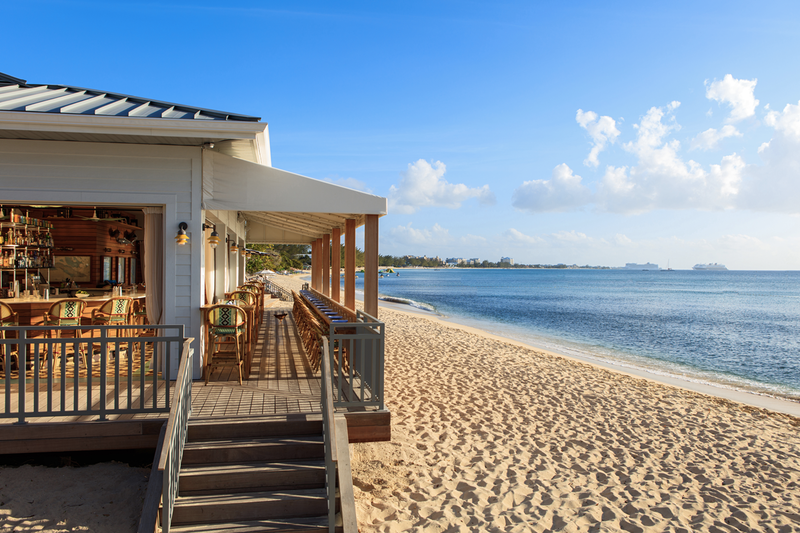 Coccoloba : A beachside bar and grill for a true sand-in-your-toes experience, Coccoloba offers a mash-up of culinary influences from Grand Cayman and coastal Mexico – it’s a taco-stand-meets-beach-hut experience. All-day options include dishes like fresh ceviche, tacos, tostadas, plus creative sandwiches and salads. Meanwhile, Coccoloba’s expert mixologists blend juices, sangrias and cocktails infused with hand-selected local fruits and micro herbs. A great collection of beer and wine is also in the mix. Seafire and Oasis Pool Bars– Seafire’s two poolside bars offer all-day menu of light Caribbean fare, including made-to-order ceviche, salads and sandwiches. Kick back with a local Caribbean beer, order from a wide selection of handcrafted tropical cocktails garnished with slices of fresh local fruit, or sip a bold red or crisp white. Fresh juices and infused waters round out the list of hydration delights. Seafire Pool Bar offers kid-friendly items, while Oasis is adults-only. The Pantry at Seafire– For on-the-go eats, The Pantry at Seafire is an express café for portable sandwiches, salads and snacks. Located just off the lobby, this convenient eatery also offers hot and cold coffee beverages made fresh, as well as lemonades, sodas, bottled water and smoothies made with local fruits. **The Resort does not offer an all-inclusive or half board plan. One main pool for guest use only. Private cabanas are available on request. Private section on Seven Mile Beach with beach service. Private Cabanas are available on request. 8,500 square foot spa with 7 treatment rooms featuring the island’s only Turkish Hammam. 1,770 square foot fitness center with leading-edge equipment: treadmills, elliptical cross trainers, exercise bikes and weight machines, plus yoga mats and balance balls. Fitness classes including outdoor yoga, paddle board yoga, circuit training and more. Private sessions available upon request. 2016 Caribbean Hotel of the Year by Caribbean Journal.